Video footage has emerged of a migrant being tortured. One video shows a man naked and in extreme pain as he is burnt with hot, liquidised silicon. 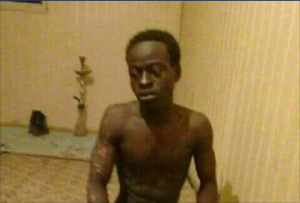 His name is Sadiq Abakar Ahmed from Kutum in the Sudanese province of Darfur. Taha Suliman Hussain, a friend of Ahmed, can also be seen in the footage. The second video consists of ten migrants lined up shirtless on the ground and being lashed repeatedly on their backs. The masked captor asks one man if he has transferred money to which the migrant cries out that that his family will. A sum of 120,000 Sudanese pounds is asked for, the equivalent of around 17,000 US Dollars. It is impossible to verify where the incident took place and even if it actually happened in Libya. However, one of the torturers appears to speak with a Tripolitan accent. Groups from from Sudan and Chad are known to be highly active in the migrant and drug smuggling trade. Mercenaries have also bulked up almost every warring Libya faction over the last few years. While news that migrants in Libya are subjected to often-barbaric treatment is not new, the country has been the focus of international attention after footage emerged of a supposed slave trade in the country. A Presidency Council investigation led by deputy Ahmed Maetig has revealed little so far.